Every great partnership starts with an environment that encourages collaboration and inspires creative solutions. With decades of extensive preconstruction experience, we understand the importance of a comprehensive team. 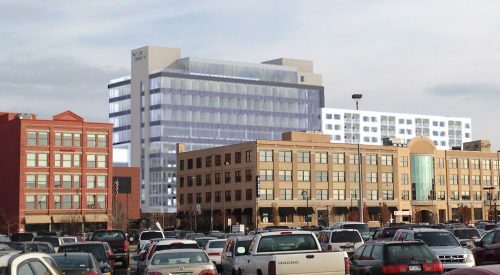 Thorough pre-construction analysis, strategy, and planning taking place at the earliest stages of a project gives our team the best opportunity to review critical details, uncover cost savings and influence the project’s overall success—a competitive advantage for project stakeholders and owners alike. 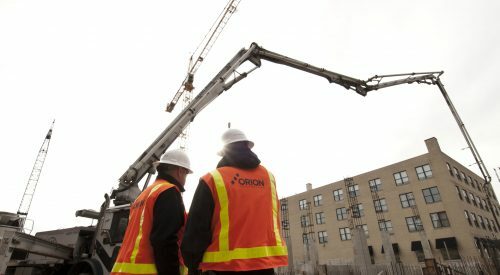 With a plan in place and team of committed stakeholders ready to break ground, Orion Construction begins mobilizing on-site staff and coordinating a chain of activities that bring a vision to life. With the industry’s top construction talent utilizing a deep set of time-tested resources, we put our knowledge, relationships and experience to work for every client we serve. Intense focus for producing high quality, cost-effective, safe and well-timed construction projects is what drives our team and motivates our building partners. While our chapter as your devoted builder reaches its conclusion, another begins in the form of a brand new destination for attracting and serving your customers and guests. In order to ensure your 100% satisfaction, Orion Construction provides a comprehensive index of resources to help you open your doors with confidence and excitement! Our greatest pride is seeing your new space thrive, which is why we make sure every final detail is covered—even providing event and press support to help get the word out and start your newest venture with a bang! Orion Construction takes great pride in being one of the most competitively priced general contractors in our region, as well as throughout the state of Michigan; it is a testament of our commitment to our clients and our ability to analyze specifications, leverage equally-efficient subcontractors, and provide creative recommendations that maximize value to the owner. In over 100 years of combined experience, our senior leaders have successfully partnered with leading designers, architects, and engineers to bring grand visions to life. These integrated experiences are evident in dozens of successful Orion Construction projects with owners seeking a nimble, knowledgeable, and trustworthy design-build construction team. Being part of a professional owner-driven team is an environment that Orion Construction excels in. As a Construction Manager, we leverage a comprehensive mix of management services in order to direct and maintain project timelines, construction costs, subcontractor coordination, contract administration, and jobsite safety objectives. Orion Real Estate Solutions (ORES) provide owners with a full-spectrum of resources that minimize risk and establish the long-term viability of your prospective project before bringing the idea to market. Our ability to provide creative financing solutions and vertically-integrated services help owners achieve their strategic objectives and realize higher return on their investment. Whether our client wishes to achieve LEED Certification or simply wishes to incorporate environmentally friendly components into the project, we will collaborate with the Owner, designer and our own project team to implement green building solutions that meet your sustainability goals.